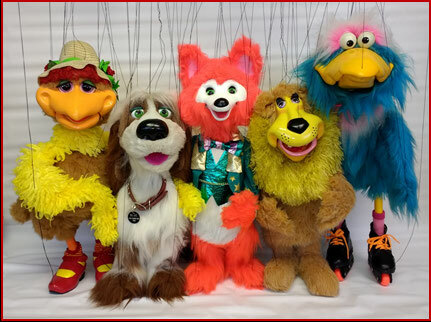 Have your camera ready as colorful animal characters sing and dance, roller skate, chat face to face with children in the audience, and jump onto children's laps for hugs. "What a delicious group...mmm, que grupo tan delicioso!" Children enjoy interacting with their new string friends. The full involvement of children in the show is our trademark. "What kind of hat do you like best?"